A project at a Maersk (Nasdaq OMX: MAER.B) container ship terminal has split stakeholders at the largest U.S. seaport, pitting dock workers and local political leaders against the march of automation and ocean carriers serving the nation’s busiest import gateway. The issue highlights the myriad issues hitting the Port of Los Angeles, which is trying simultaneously to ease truck congestion, meet high environmental goals and beat back competition from other North American ports. The project at APM Terminals in Los Angeles has also drawn in an endangered seabird and the next generation of wireless technology. 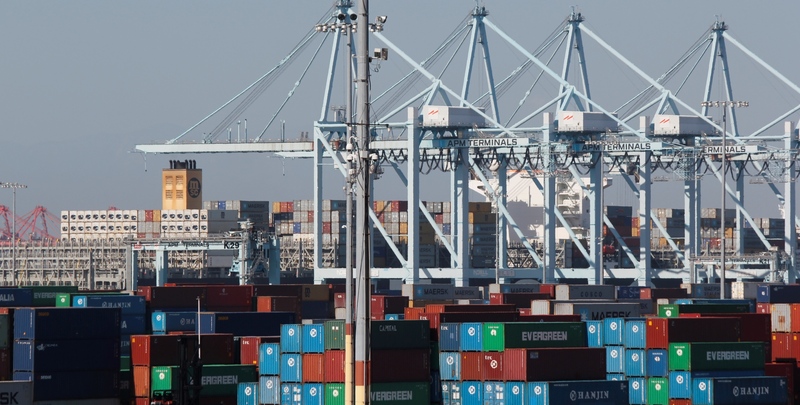 Gene Seroka, the executive director of the Port of Los Angeles, presented a staff report in support of a permit for Maersk’s APM Terminals subsidiary to install additional equipment at its Pier 400 site at the port. Seroka said the project was small enough that it did not need review from other state agencies and that the project was in keeping with the port’s goal of increasing efficiency and reducing pollution. The staff report also recommended that an appeal of the permit’s approval be denied. But the Board meeting was anything but bland, as it drew a standing room-only crowd and lasted four hours as numerous speakers voiced their opposition to the plan. Despite the staff report’s recommendation, the Board of Harbor Commissioners did not act on the matter. Rather Los Angeles Mayor Eric Garcetti asked for a 28-day cooling off period so dockworkers and APM Terminals can reach an agreement over the project’s future. See also Dockworkers v robots, Financial Times, Los Angeles edition . . .